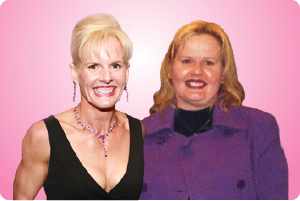 118 Pounds Lost: Wouldn’t you like to be motivated beyond belief? As soon as I finished school I started to gain weight. By the end of my first year uni I had gained about 10 – 15 pounds. By the time I finished my first degree I’d gained about 30 pounds. When I started working, then I really started to pack it on… and by the time I was 29 I was 106.5kg (234 pounds) and medically classified as morbidly obese. Now any time the medical description of you uses an adjective meaning death then you know you are in serious trouble! It affects everything. Being overweight affects your energy, your time (because everything takes longer to do), your self-esteem, your job, your relationships… everything. Certainly I was in denial about how much my weight was holding me back at the time. But it was. When I was overweight I was a workaholic teacher who was totally devoted to my career and the kids that I taught. The catalyst for my weight loss journey wasn’t hitting over 100 kg, nor suddenly finding myself wearing size 28 pants, nor being diagnosed with high blood pressure at the age of 29. I was actually turned down for a promotion at work, and I was devastated. For three days I walked around in a state of shock. On the third day (or what I like to call my “resurrection day”), I remember sitting in the park across the road from my house. My thoughts went something like this: “I shouldn’t be this devastated, it’s only a job – it’s not my whole life. Oh wait, it is my whole life – all I do is work”. 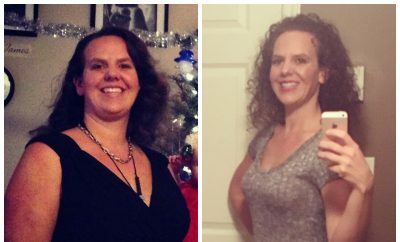 So I set about getting a life – and losing weight was how I did it. I made really simple changes. Start walking (I could only manage 5 mins a day at the start before I was buggered). Eat more vegetables. Drink more water. Weight loss isn’t always easy, but it is quite simple. I started to have more energy after the first week or two. But, because I was so big, I remember that I’d lost 10kg (22 pounds) and no one had even noticed! I HATED exercise! I didn’t have a lot of money to spend and I worked over 100 hours per week. I was single (and lonely) as well. Because I was really taking charge of my weight loss myself I really didn’t have that many periods of wanting to give up. I wasn’t following someone else’s rules for weight loss so I didn’t want to rebel against them. Sure I wanted chocolate (badly at times) but I kept going because I wanted to, not because someone else was pushing me to do what they said. That’s a big difference. I only plateaued once during my weight loss journey. 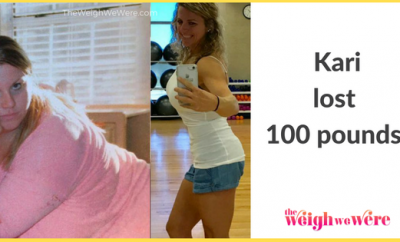 When I hit 169 pounds – so I’d already lost 65 pounds. So it was fairly easy just to keep going and know that I would start losing weight again soon. I think the reason I didn’t plateau (or have loose skin after my weight loss) was the specific methods of exercise that I used along the way, which (now that I actually know what I’m doing) I call Neuromuscular Stimulation… at the time I just thought of them as cool, new and interesting ways to exercise without it being mind-numbingly boring!! Because traditional exercise methods are boring – not just for your brain, but for your body as well. And so we see the dreaded weight loss plateau: your body has become bored by what you are doing, day in and day out. It has adapted. It’s no longer challenged, it’s no longer stimulated, it no longer wants to play the weight loss game with you. It’s had enough of the ‘wham bam thank you ma’am’, go hard or go home approaches of traditional exercise plans or programs. Your body doesn’t really respond well to that over and over again. Instead your muscles need to be charmed … allured … seduced and stimulated into working well for weight loss. 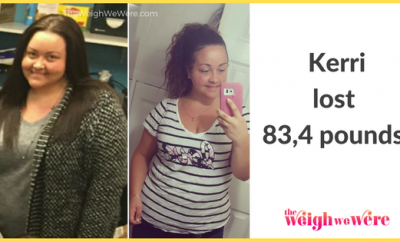 I lost 99 pounds in 33 weeks. I kept that weight off for five years then lost another 18 pounds after that. 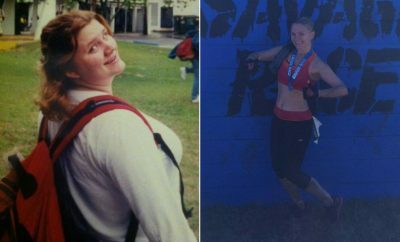 It’s now been over 13 years since I lost my weight … so I’m pretty much the complete weight loss package because I’ve lost a lot, I’ve lost a little bit and, most importantly, I’ve kept it off. Many! The first time I could run continuously for 20 mins, transforming myself from an exercise loather to an exercise lover, the first time I fit into size 6 clothing was good (although now that seems big to me because I’m size 2). lol. I eat twice as much now as I did when I was overweight – but the food is a lot better in both quality and quantity. I never used to eat breakfast then I’d binge at about 10 am. Lunch was soft drink and a big roll. Dinner was often fast food. I eat more vegetables – at least 5 serves a day. Well I didn’t do any exercise before I lost my weight. I paid someone to walk my dog. I drove to post letters in the letterbox that was 100 yards from my house. I was just too big. Now I exercise regularly… but not religiously. Not every day. It’s not sustainable. I do weights about twice a week. Pilates about twice a month etc… whatever fits in with my life. But, importantly, it’s regular and sustainable. Forget About Portions… Eat Until You are Full… But Not OverfullPortion control is one of those theories of weight loss developed by people who have never actually struggled with their weight.So they’ll only eat a palm sized piece of steak and be satisfied. Listen, if I’m going to have a piece of steak, it’s going to be a whopping big piece of steak. I advocate Portion in Notion. What this means is ‘Eat until you are full, but not over full’. But at the same time don’t under eat as well, or you spend the new few hours obsessing about your next meal. Psychologically, that’s pain, that’s terrible. That will cause you to quit. That’s something almost no weight loss program will tell you, but it makes sense. Fill up on the good foods first. Forget portion sizes. Instead, if you fill up on the good few things first, the bad things won’t seem so tempting. So fill up on low fat protein, lots of vegetables, things like that, things that keep you full, but are healthy for you. In the coming videos we’ll cover a lot about this, so you’ll end up with a bountiful list of great tasting foods that are good for you. Again, instead of restricting yourself, you’ll probably find yourself eating better than ever. There’s a lot of science that’s come up recently that says that if you’ve been overweight, then your stomach has been stretched and you need more calories. So if you’ve have been overweight for a long time, you actually need to eat more to feel fuller. At least in the beginning. This is something none of the portion control advocates take into account, but something that’s going to play a big role in whether you stick to your diet, or healthy eating plan. So forget portion control and instead eat to your full, but not overfull. Forget the ‘Everything in Moderation’ ruleAnother one of my guidelines is to forget about trying to eat “everything in moderation”.Moderation is again a nice little theory… if you haven’t actually been emotionally attached to food, the way most people who’ve really struggled with their weight have. But as you’ve discovered, these nice little theories don’t often translate well into reality. and your “Weapons of Mass Destruction”? Your weapons of mass destruction are things that you cannot eat in moderation, you cannot have in the house, because you’ll eat the whole packet or whole boxes or whatever. I cannot have malteasers in my house. I’ll eat a whole box, even if I feel full, even I feel sick halfway through. They are my weapon of mass destruction. I do not have them in the house. Occasionally, I have them. But they’re not an everything in moderation food. So some foods won’t be everything in moderation for you. Work out what they are. Your secret weight loss weapon foods are the healthy foods that fill you up but don’t fill you out? What do you love? What healthy foods could you eat every day that fill you up but don’t fill you out? You Can Achieve Better Results by Doing LessThink about this, if you give 100% effort, you might last maybe three weeks. And then it’s too much, had enough. So your net result is 300%.If you give just 80% effort, you can possibly last a little bit longer, say five weeks. So your net effort result is 5 x 80% for a total of 400%. So already you’re ahead just by lasting that little bit longer and just by going that little bit easier on yourself. Now imagine you were to give just 25%… so really just kind of tightening in, not giving any effort at all hardly, but now you’re able to last longer, say 25 weeks… you’ll end up with 625% effort results. Now, not only have you achieved more than double the results, the more important thing is that you haven’t quit like all those that quit after 3 weeks because it was too hard to continue. Because you’ve done it for 25 weeks, you’re much more likely to keep doing it forever. You’ve made a lifestyle change. You’ve built a new habit. And you know what, you’ve barely even noticed because it’s been easy-peasy the whole way through. 25% effort, anyone can do that. Don’t use rewardsWhen I speak in public, I often talk about how rewards don’t work for weight loss. 97% of people in the audience nod their head and go yeah, they don’t work and the other 3% go no, that can’t be right… and they’re usually the people who work in the health and fitness industry.Now a really interesting book came out a couple of years ago by Daniel Pink, New York Times best seller, called ‘Drive – surprising truth of what motivates you’. If you really want to know a lot about motivation, that’s the book to read. And actually work against long term weight loss. An example of one of these studies was done with toddlers, where they basically said “if you do this, I’ll give you a lolly”. Now think about it, this immediately suggests to the child that doing the actual tasks is not inherently pleasurable. The best reward you can give yourself is losing the weight itself. You don’t need any other reward. The reward is the weight loss. So forget about rewarding yourself for weight loss because you will be demotivated by it. And being demotivated is the biggest stumbling block for weight loss, isn’t it? Yes, it is. 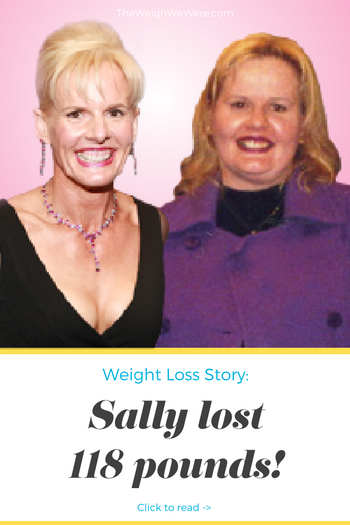 Find ways to lose weight that you love. That way you will be motivated beyond belief and you’ll never want to quit. You’ll lose weight … and you’ll keep it off. Just like I did.